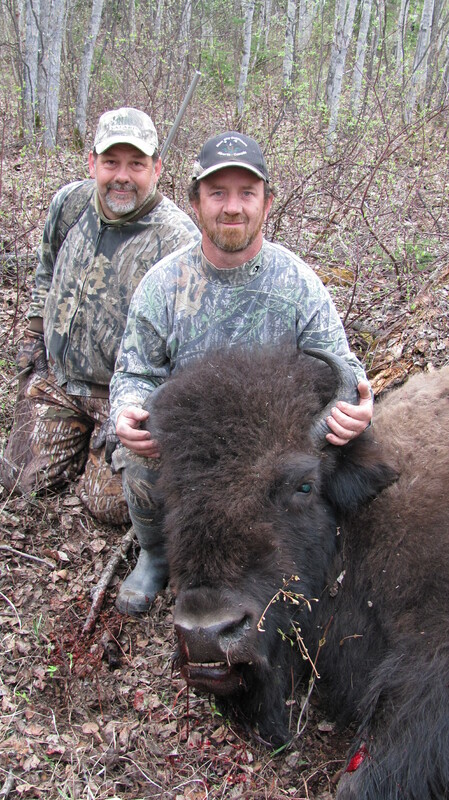 For most hunters, woodland bison is the pinnacle trophy. These majestic creatures are so large, you will surely be stunned when you see them up close. These are native, free ranging woodland bison in their natural habitat. Fortunately, they are not a pure wood bison – which means you are allowed to export your cape and horns to the United States. The bull may weight up to 3000 lbs. and a cow 1500 lbs. 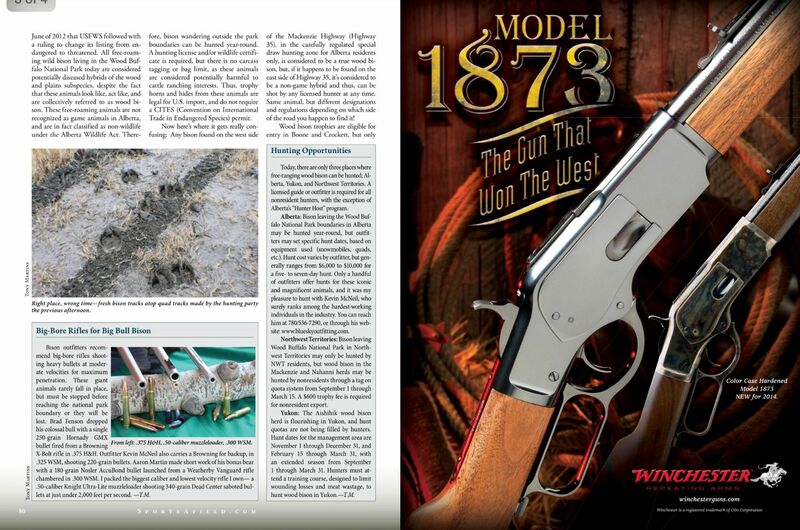 Studies have shown that many of the bulls in this area are ancient, and trophy potential is very high. 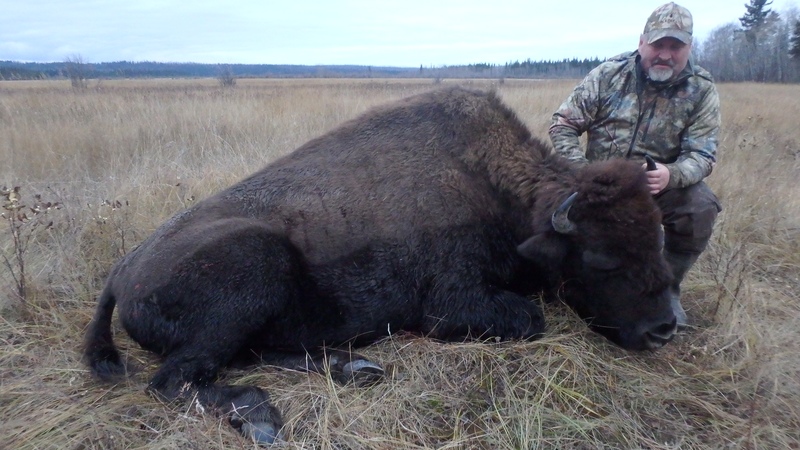 There is also the satisfaction of having hunted a rare and awesome trophy – a true free ranging woodland bison. The very elusive timber wolf inhabits the same area as the woodland bison and can be hunted with reasonable success at any time during the hunt. 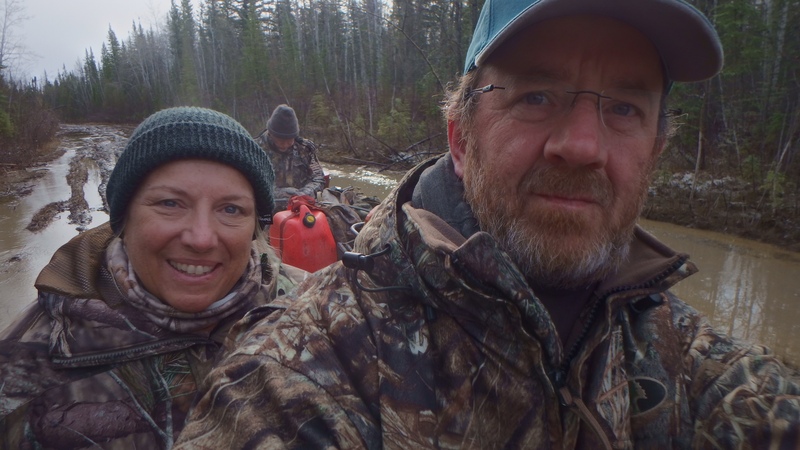 Most of the hunting will be done on snowmobiles and quads, and it’s common to travel up to 80 km (50 miles) in a day in snow 1-3 feet deep. 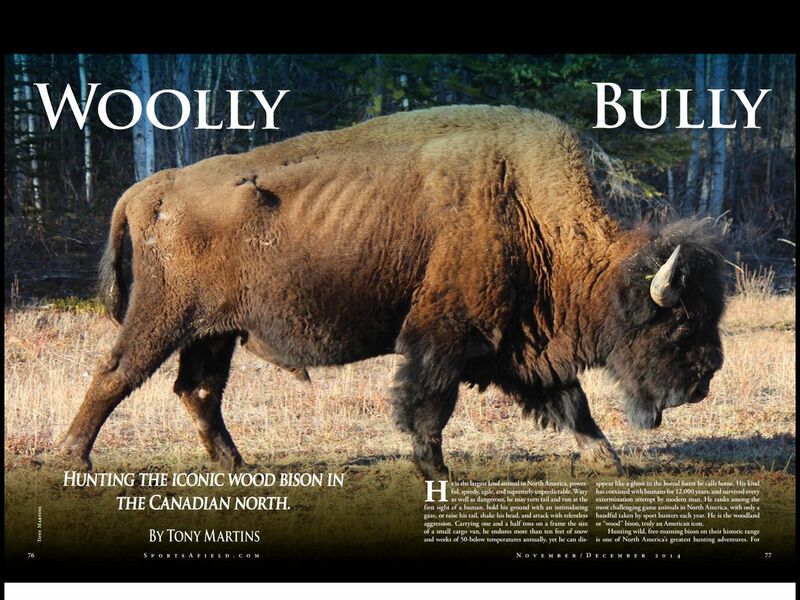 Your days will be filled with excitement tracking down the legendary woodland bison. 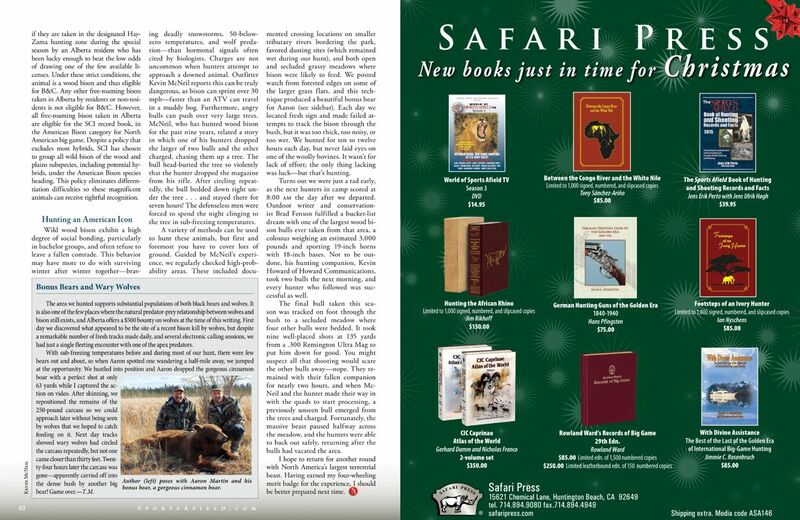 The hunt can be long and difficult, but for the avid trophy hunter it is the thrill of a lifetime. Our fair-weather season includes the month of October and the last two weeks of May. The winter hunts occur between November 1st and April 30th. 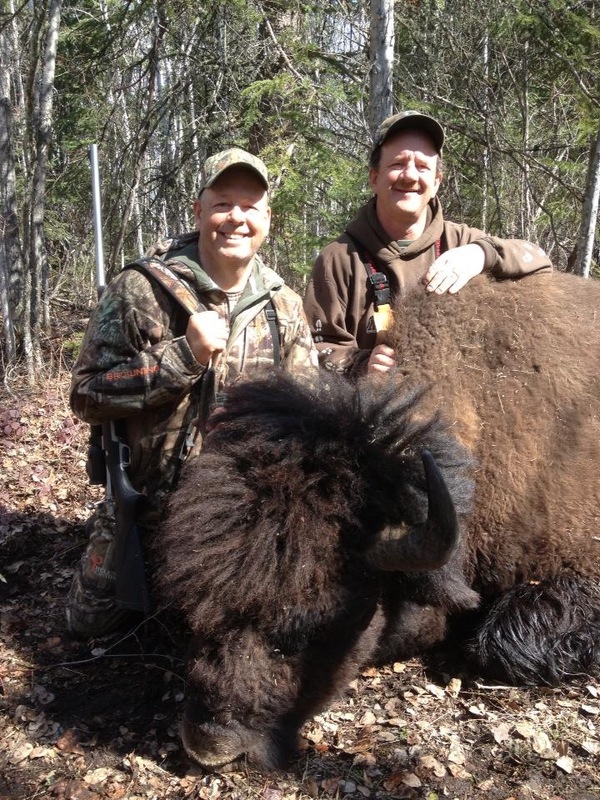 Non-hunters are welcome at a daily charge of $300.00 USD per person. Shipping, and crating of trophy. – No Such Thing As Tired! The 6-day hunt is Monday through Saturday. Check-in 4:00 pm Sunday and check-out at 12:00 noon the following Sunday. We’re up early and it will be a long day with lots of travel and sometimes extensive walking if we’re tracking. We’ll stop to eat a bag lunch, drinks and snacks. You may be travelling through 3 feet of water or 2 feet of mud and winching your way out when stuck. If you are coming for a winter hunt, we use snowmobiles a lot and the snow can be up to 6 feet deep. If temperatures dip below -40 C/F, it will be too dangerous to hunt. 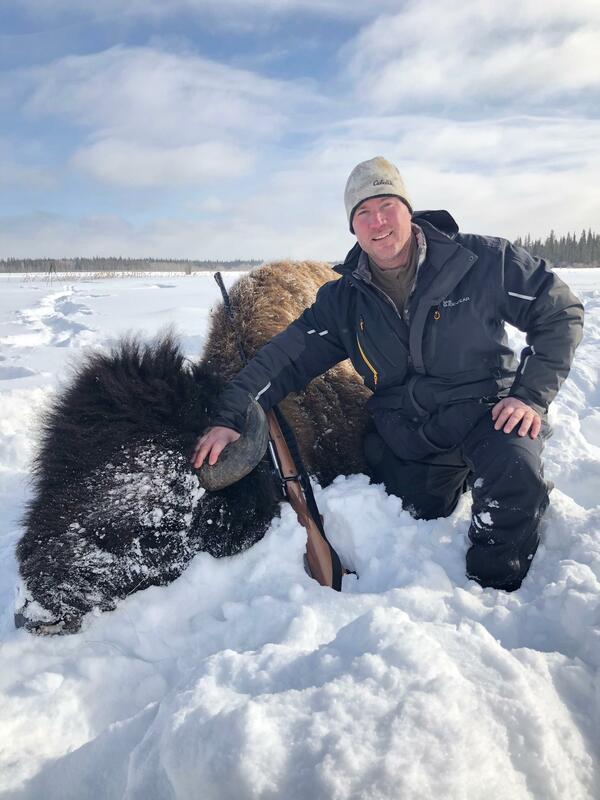 You will normally be housed in a cabin, wall tent or hard wall trailer – it is dependent on weather and the hunting area chosen by your guide. Amenities will vary by location. 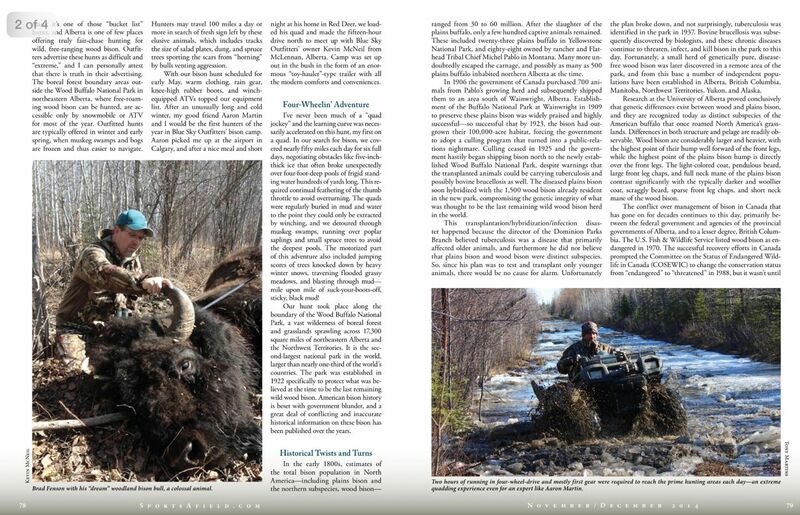 Northern Outfitters (http://www.northernoutfitters.com/) is highly experienced in outfitting winter hunters with proper clothing and gear if you need to purchase gear before you come. Fur hat with flaps that tie down around ears and back of neck. Boots designed for extreme cold with insulated liners like those by Cabellas, Timberline or Northern Outfitters.